Hi everybody! 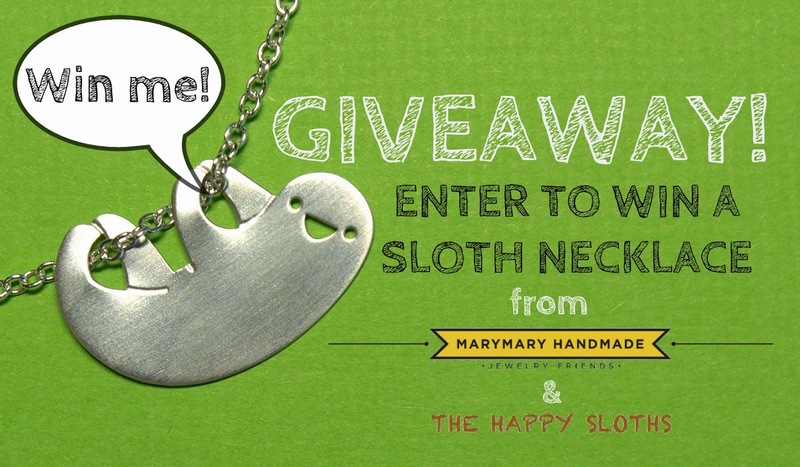 Today I have a very very special post featuring a very very adorable sloth necklace from MaryMary Handmade on Etsy. 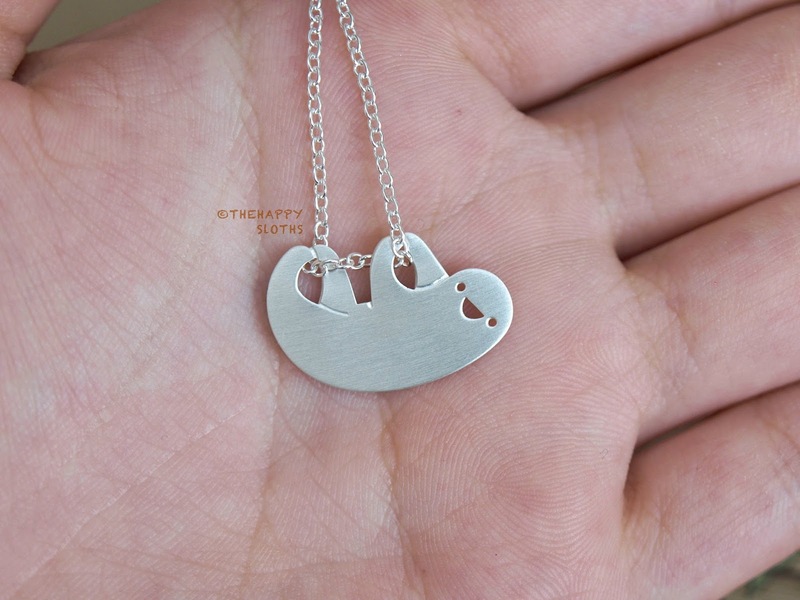 For a very long time, I have been a lemming of Mary's adorable handmade sterling silver "jewelry friends" so I was more than ecstatic when she agreed to send me a Little Sloth Necklace to feature on The Happy Sloths! Look at this tiny cutie! This charismatic little guy I have here is the "Little Sloth Necklace". 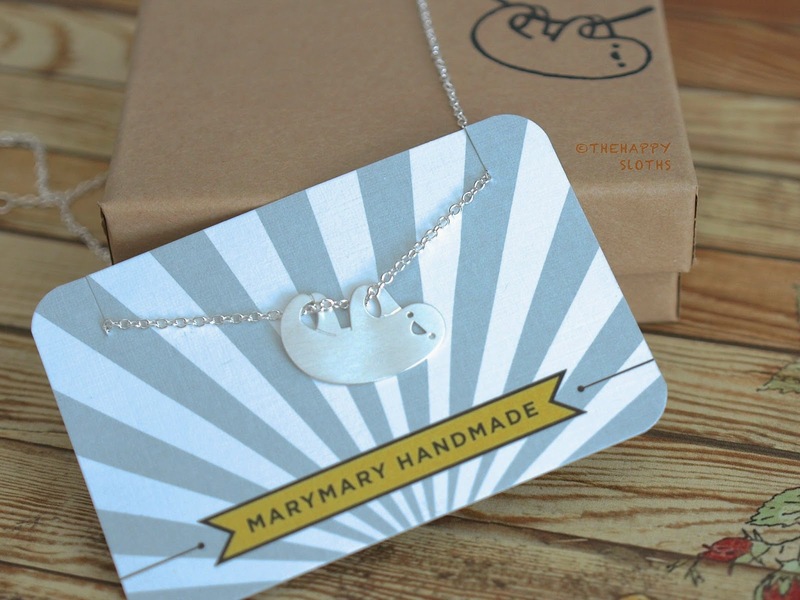 It is handcrafted (by the talented Mary, of course) out of sterling silver and has a matte finish. The little guy measures around 2.5cm long and 1.5cm wide. 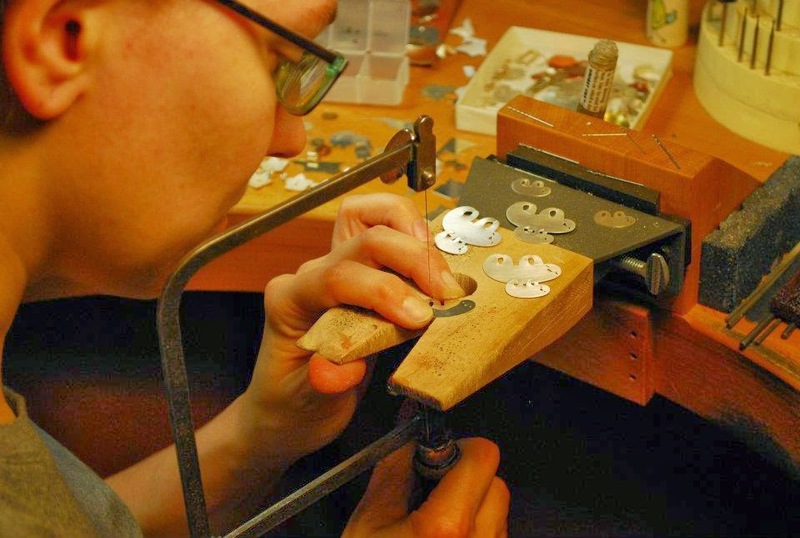 Mary hand-makes all her jewelry pieces, here she is working on the mama and baby sloth. 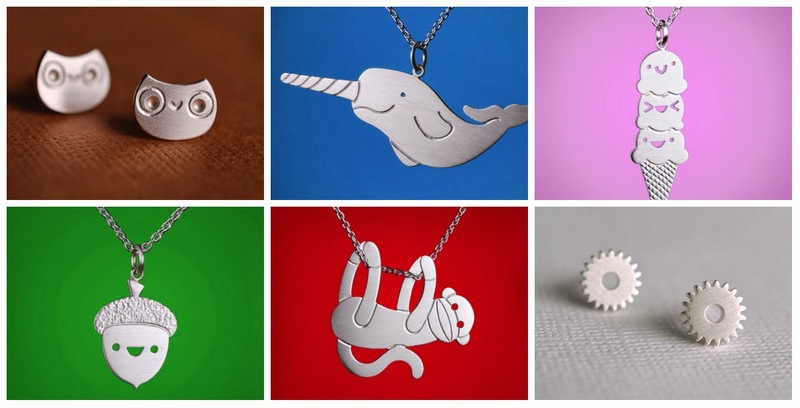 I would not be surprised if Mary is just as big of a sloth fan as I am, check out some of the other sloth jewllerys she sells in her shop! 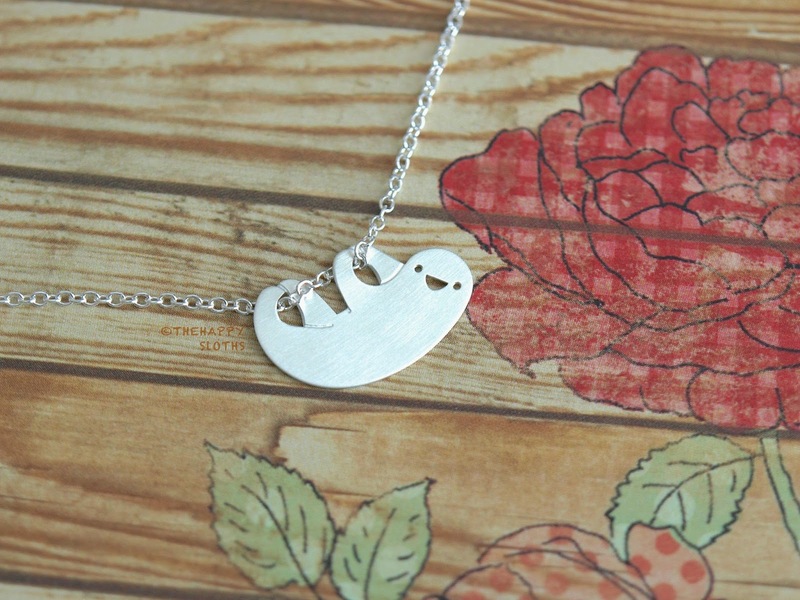 The necklace comes in a simple brown cardboard box, stamped with a sloth design. Squeee, too much cuteness to handle! Sorry if I just added like 50 new things onto your wishlist! Make sure to check out Mary's shop on Etsy! What do you guys think of this little sloth? Enter HERE for a chance to win one for yourself!